Homework is a hot topic right now. Some people are staunchly against it, while proponents say it’s essential for supporting student learning. Personally, I don’t really agree with either extreme. I do believe that homework can be helpful (because I’ve seen the positive impact it has had on my own students). However, I believe that the homework we assign should not be the same type of homework that was assigned to us when we were in school. I also think that homework should be relatively quick for students to complete, especially in the lower grades. So what would a “different” kind of homework look like? Well, ideally it would consist of engaging activities rather than a stack of worksheets. It would actively involve parents in students’ learning. And, when possible, it would incorporate technology. (And that’s exactly what I set out to do when I created my literacy homework for Kindergarten). 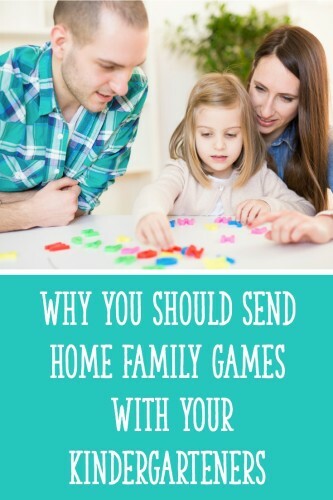 Sending home family literacy games is one way to provide students with engaging at-home activities. 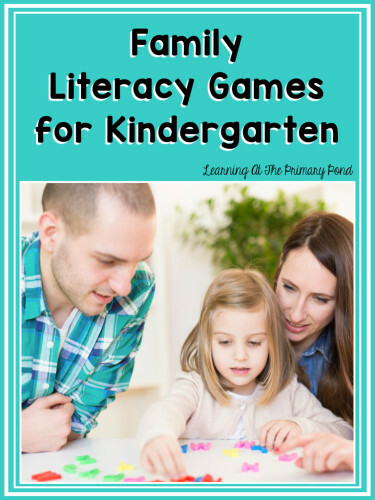 In this post, I’ll explain why family games for Kindergarteners are incredibly useful, suggest some tips for making sure your students actually play them at home, AND give you a free family game to send home with your students! So why are family games so great for students? Games help develop positive social skills and give families a reason to spend time together. Learning how to take turns, follow directions, and lose gracefully are important Kindergarten skills, right? 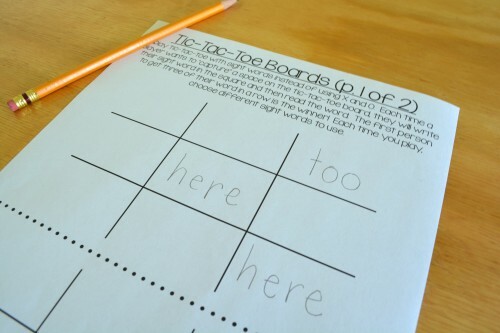 While students do get some practice with this at school, it’s a great idea to extend that practice at home. There, they can practice these important social skills with the close support of their family members. Additionally, assigned games are great because they give families a reason to spend time together. When families spend time together, students have an opportunity to develop oral language and social skills, as well as just plain bond with their parents. This time is so important! Unfortunately, with many parents working multiple jobs, children’s after-school activities, and distracting technology, family time can be hard to come by. When we assign homework that requires students to spend time with their families, we are helping promote healthy interactions at home. Academic-related games give parents a glimpse into what students are learning at school. How many of your students say “nothing” when their parents ask them what they did at school? 🙂 Probably at least a few! And even those kiddos who don’t say “nothing” are probably not telling their parents that they “worked on spelling three letter words with short vowels.” Am I right?! Many parents love to know what their children are learning at school, and family games are one way to share this information with them. Games provide students with extra practice in a playful way. The greatest value of games, in my opinion, is to give students extra practice that’s FUN! Kindergarteners naturally love learning, so why not take advantage of and facilitate that excitement at home, too? Okay, so family games are great. But how can we make sure that families actually play them? 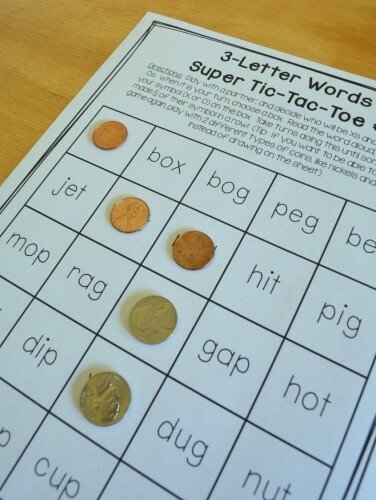 It’s pretty easy to see when a worksheet is completed, but a family literacy game is a different story. Have students play the game at school first. If students understand how to play and they already know that a game is fun, they’ll be more likely to insist that the family play the game. 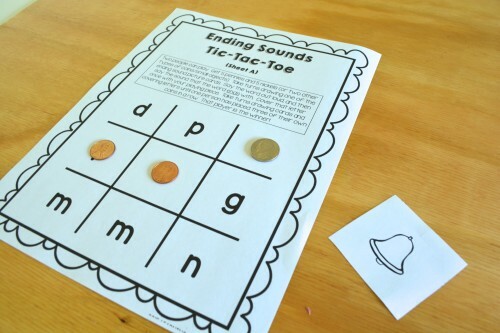 How fun for the kids to get to teach their families something new! Click on the image below to download a game that children can play at school and then at home. 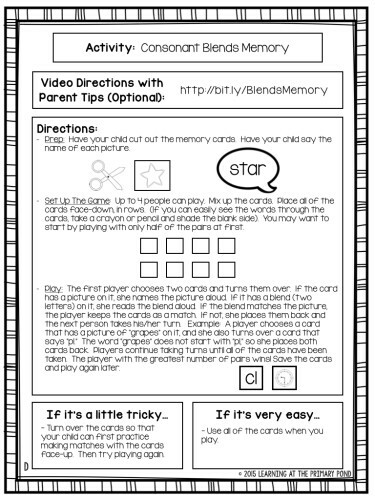 Provide parent instructions in a few different formats. Just as our students learn differently, so do their parents! I like to have different options for the game instructions, so that families can choose how they learn to play. I may ask them at the beginning of the year how they prefer to get directions, or use trial and error to figure out what works best. Click on the image below to download parent instructions for the game featured above. You’ll notice that I have included 5 different options for instructions! The first sheet includes written instructions (as well as a link to an instructional video parents can view on a phone/tablet/computer). The second includes written instructions with visual explanations (and again the link). Both of these first two instructions sheets have children cutting out the cards at home. The next two instruction sheets are identical but can be sent home when you have already done the cutting at school. The fifth option has instructions in both English and Spanish (and again the link to the video for parents). Give families multiple days or a week to play the game. Some nights are just busier than others. 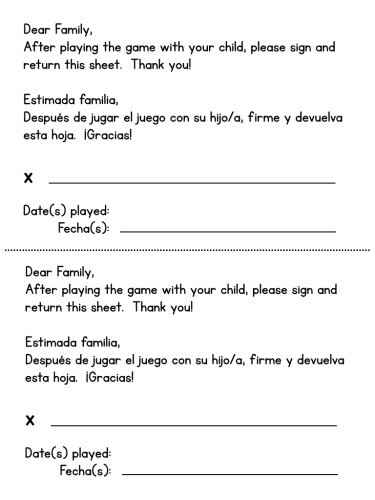 I like to send home a weekly homework packet that includes the games, so that families have some flexibility in choosing when they play the game. At the beginning of the year during Back to School Night, I emphasize the importance of not waiting until Thursday night to complete all of the activities. Although 3 of the games above are Tic-Tac-Toe games, the pack includes a lot of variety. 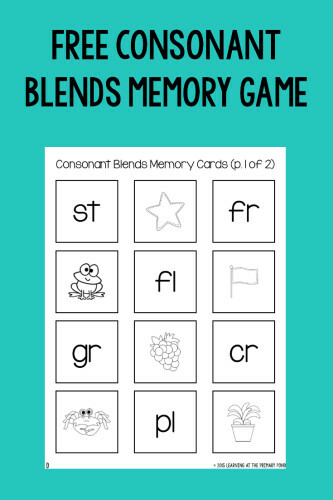 Some examples are: memory games, BINGO, Go Fish, card games, and some other original games I’ve created. Do you send games home with your students? Any tips or suggestions to share? Please comment below! ← What is Shared Reading? 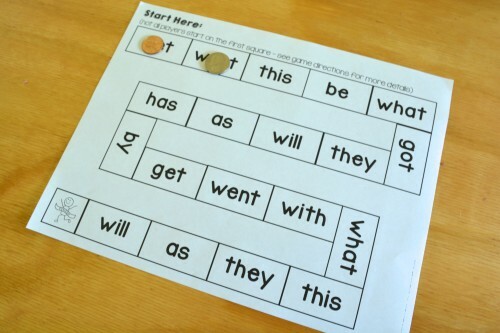 I think this is a great idea … beats sending home leveled readers ….would work also for numeracy games to support different skills in mathematics. Absolutely! My kids and their families have really enjoyed literacy and math games! Do you have anything like this in Spanish?